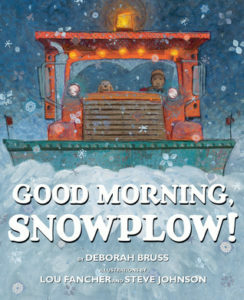 The illustrations in Good Morning, Snowplow! are absolutely beautiful! The actual snowflakes are pretty, and artsy. This book would be a delight for any child obsessed with big trucks. It’s a fun look at the people in our lives who do the jobs that so often go unnoticed.